A close encounter with a Bee-Fly! 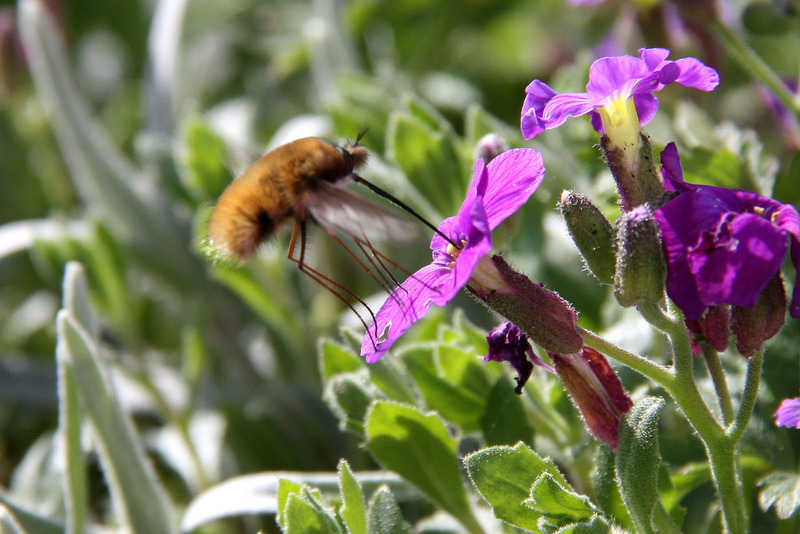 Here’s a fabulous little Bee-Fly (Bombylius Major). Technically he’s a fly and not a bee, with a long thin proboscis (snout!) and a furry body. The furry little body makes him look like a bumble bee, hence his name. Oh, and Bee-Flies don’t sting! Cool facts about Bee-Flies? They use their long proboscis to sip nectar from deep inside a flower, often hovering like a humming bird. Bee-Flies are parasites – they lay their eggs in the nests of solitary bees, and their larvae eat the pollen and grubs of their host! Euuuwww!